Scientific studies have found that great-looking teeth are one of the most attractive physical traits a person can possess. A great smile, along with good grooming habits and an irresistible personality, can draw other people to you and make you feel like a celebrity. But what if your pearly whites aren’t as beautiful as you would like them to be? You might want to visit your cosmetic dentist in San Antonio to ask about porcelain veneers. Porcelain veneers are thin pieces of porcelain that a dental professional permanently attaches to the fronts of your natural teeth. If your teeth and gums are in good health, and you have an excellent oral hygiene routine, you may very well be a candidate for veneers. 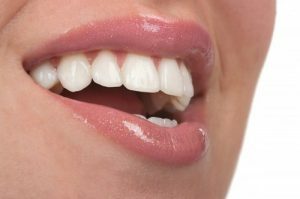 First, you should head to your dentist to talk about receiving porcelain veneers in San Antonio. He or she will examine your mouth to make sure your teeth and gums are strong enough to support veneers. Then, you’ll learn about your next steps. Keep in mind that veneers are colored to match the teeth around them, so if you want to whiten your teeth, you should do it before you move forward with other steps of your smile makeover. Your dentist will remove a thin layer of enamel from the teeth where the veneers are going to go. This is necessary to make sure your new smile will look natural; they need to be as close as possible to your natural smile line. Then, you’ll receive temporary veneers to shield your natural teeth while the laboratory is making your custom tooth covers. Once your veneers arrive, your dentist will install them, and you’ll walk away with a brilliant new smile! Porcelain veneers are extremely durable. They could last for a decade or more if you care for them well. In order to make sure they look as brilliant as possible for as long as possible, brush and floss regularly — just like you already do for your natural teeth. Also, while veneers are resistant to stains, it might be a good idea to cut back on things like coffee, wine, and other substances that could contribute to discoloration. Visit your dentist regularly for checkups. He or she will keep an eye on the veneers and let you know when the time is approaching to replace them with a new set. Do you want a confident smile that turns heads wherever you go? Porcelain veneers might be right for you! Doctors Troy Jones has been practicing dentistry for nearly 30 years. He puts his experience to use as he serves his community and helps his patients achieve healthy, gorgeous smiles. If you have questions about porcelain veneers, contact the office via our website or by phone at 210-349-4408.